Sweet Princess Charlotte is one of the world’s cutest little girls, and her mother Kate Middleton is one of the most beautiful and photogenic women on the planet. So it makes sense that there are a ton of adorable pictures of the lovely mother-daughter duo. Here are just a few. Kate Middleton and little Princess Charlotte attended Christmas Day mass together and Charlotte was full of adorable funny faces and too cute hand holding. 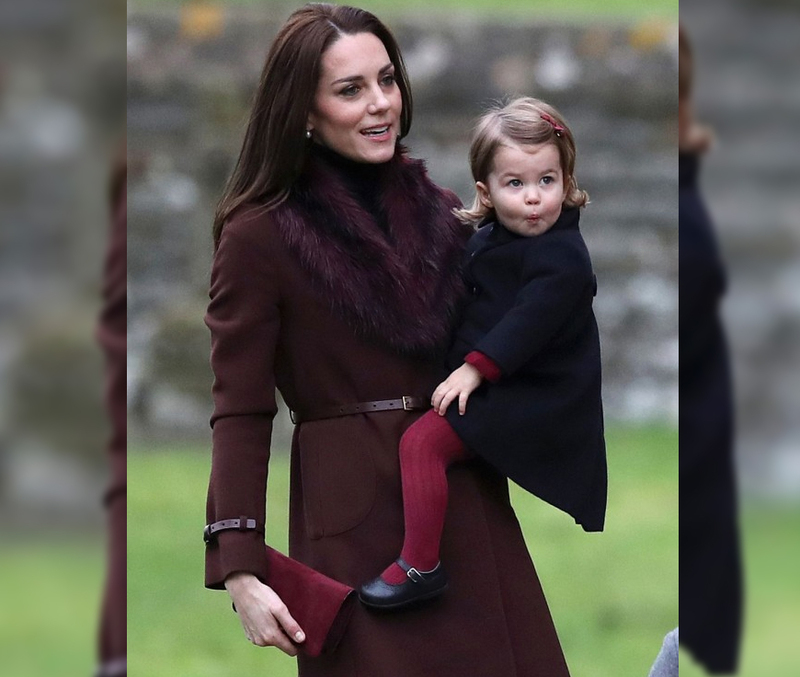 Middleton wore a sleek, chocolate brown belted coat and matched her clutch to Charlotte’s bright magenta tights. The pair looked like two peas in a pod and Middleton even put Charlotte down to let her wobble into the service on her adorable little toddler legs. The church service took place at St. Mark’s Church in Berkshire and Prince William and the couple’s older son, Prince George, was also in attendance.